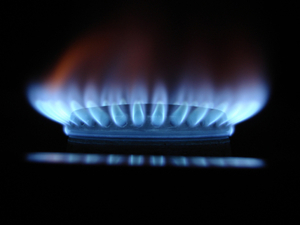 An Irish energy supplier is set to join the UK energy market it has revealed. Vayu will expand into the UK natural gas market with the aim of targeting the industrial and commercial sectors as it looks to capitalise on a UK sector significantly larger than Ireland's. Vayu commercial director, Liam Faulkner, said: "We believe there remains a large untapped opportunity to deliver new services into the UK market. "Vayu will be investing heavily in winning customers by changing the way UK businesses view their energy-related decisions and empowering customers to become more active in the area of energy procurement and demand management." The firm will specifically target business users within the industrial and commercial sectors. According to its own valuations, the UK market is worth over £7bn a year, a figure ten times the sector in Ireland. The sector therefore offers the firm the significant opportunity for further growth. Vayu UK head of energy services, Simon Firth, added: "This is a very exciting time for Vayu as we enter into the UK market and I believe we have outstanding solutions to offer. "In addition to gas supply, our Active Energy Management service monitors consumption in real time, reporting back deviations from normal energy usage. "At Vayu UK, we use energy management, monitoring and technology to improve our customers' energy performance, reducing cost, consumption and carbon." Vayu was established in 2003 and supplies 22% of Ireland's largest natural-gas business users, including the likes of Tesco, Debenhams and DHL as well as 15% of mid-sized gas-user segment according to the energy supplier.